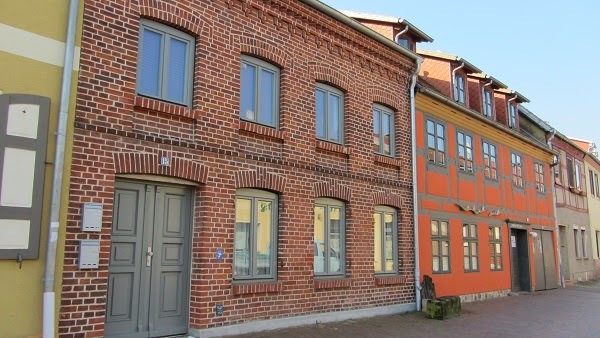 I already posted about our wonderful time on vacation in the Baltic Sea and Röbel. 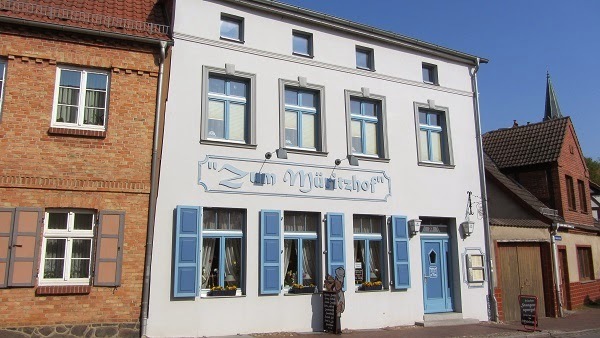 Now for some random fun from northern Germany. 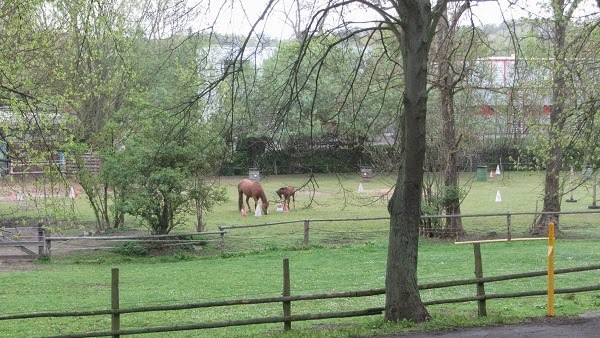 This was the view from my bed at the hotel in Röbel: a mother and baby horse! Could it get any more adorable? 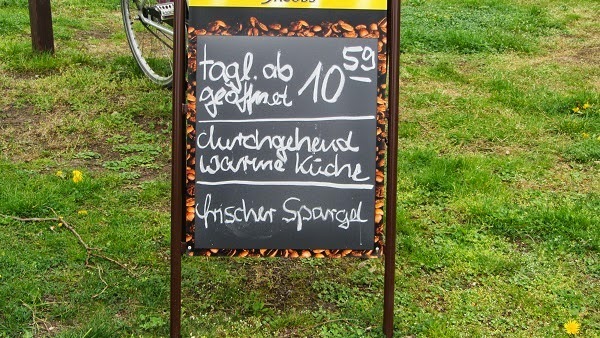 You know those fancy golden or wrought iron signs that sometimes hang outside German shops? 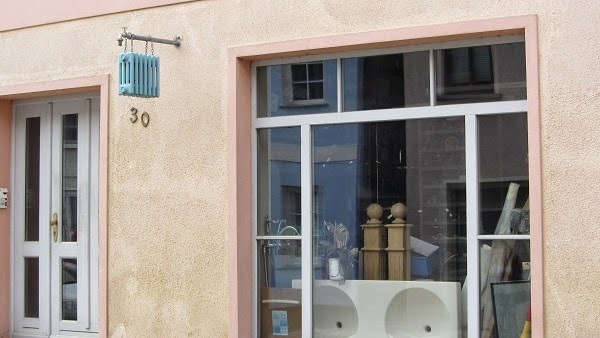 This shop sells heating and plumbing supplies, as clearly indicated. This restaurant opens at 10:59 am daily. We did not test their punctuality. 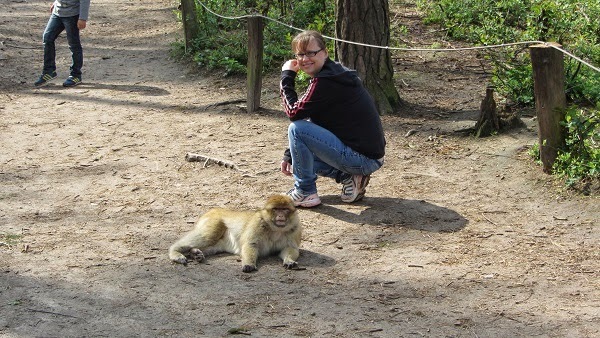 Monkeys? 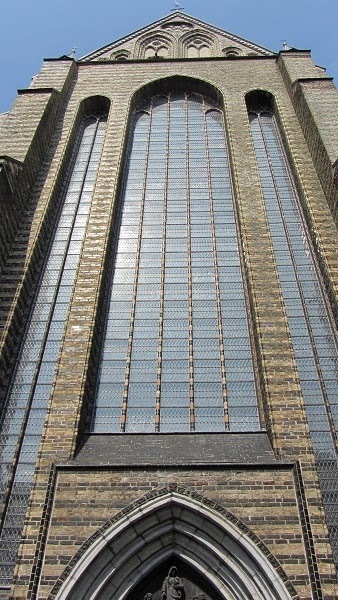 In Germany? Yes! I knelt down, and this one slunk right over and lay next to me. Guess she felt comfortable in my presence. I refuse to analyze why. 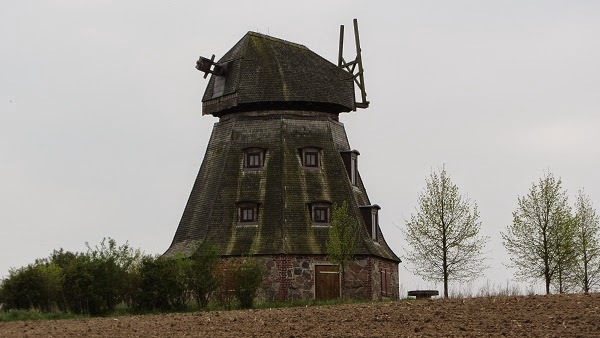 Is it just me, or do windmills without rotors look kind of like Daleks? 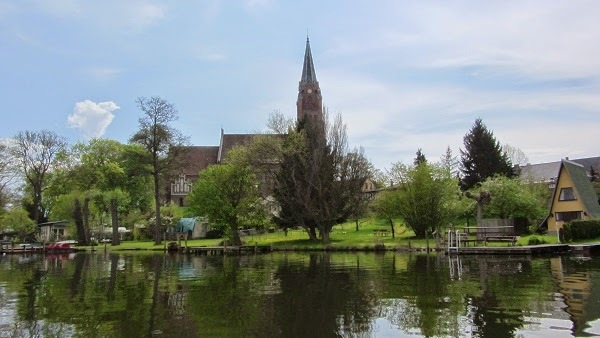 All pictures by me or my family. I've revised my query based on your awesome feedback, but the original is below in teeny tiny print. If anyone happens to stop by again, feel free to rip the new one apart! Seth Halloway knows the religious books have it wrong. He and his team of Sifters traveled from another plane to Earth, where they mark morally corrupt humans for the Voidmaster. After their deaths, most souls move on to an afterlife in the haven. Sifter-marked souls, however, end up in the void, waging war on the haven's automated defense system in a desperate attempt to escape the void's lack of everything. Seventeen-year-old Neve has been identified as the future destroyer of the Voidmaster's team of Sifters. So no task is more important to Seth than convincing her to join the Voidmaster's side before she can banish them to the eternal battlefield. When every method of corruption his team devises falls short, he spends night after night searching her dreams for her weaknesses. And it's not long before her wit and care breathe life into his long-believed dead spirit. Despite knowing his continued dream visits put Neve's sanity at risk, Seth can't stop, even if he wanted to. Failure to condemn Neve would mean centuries of torture on the void's battleground for him and his loyal team. But to succeed, he'll have to break the girl he spends every night with...and his own heart. MARK OF THE SIFTER is a dual-POV, YA contemporary fantasy novel featuring a multi-cultural cast. It is complete at 82K words, stands alone, and has the potential for a companion novel. Seth Halloway knows the religious books have it wrong. He travelled to Earth from another plane and lives on our world with his team of Sifters, marking morally corrupt humans for the Voidmaster. After their deaths, most souls move on to an afterlife in the haven. Sifter-marked souls, however, end up in the void, waging war on the haven's automated defense system in a desperate attempt to escape the void's lack of everything. Seventeen-year-old Neve has been identified as the future destroyer of the Voidmaster's team of Sifters. So no task is more important than convincing her to join his side before she banishes them to the void's eternal battlefield. When every method of corruption his team devises falls short, he spends night after night with her, searching her dreams for her weaknesses. And it's not long before her wit and care breathe life into his long-believed dead spirit. 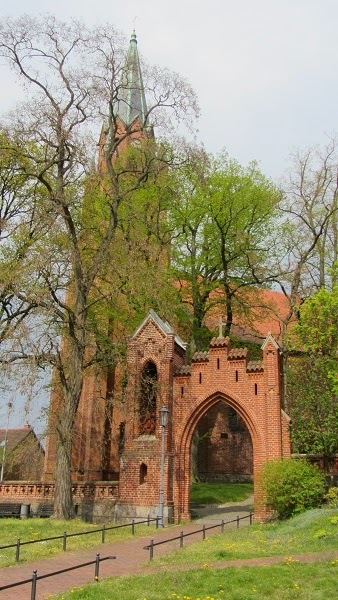 Just after Easter, my family and I went on vacation in northern Germany. We loved it. No one wanted to come home. 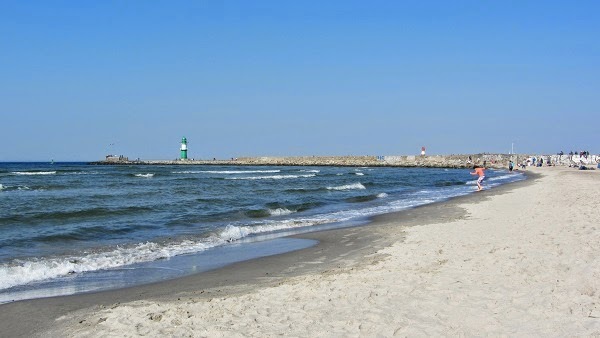 I already blogged about the Baltic Sea. 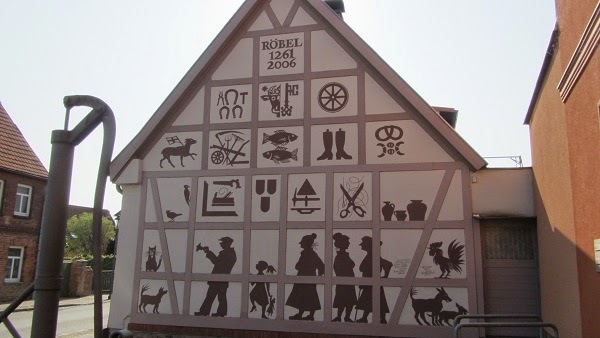 Here are some pictures of the town we actually stayed in: Röbel, on the shore of Lake Müritz. 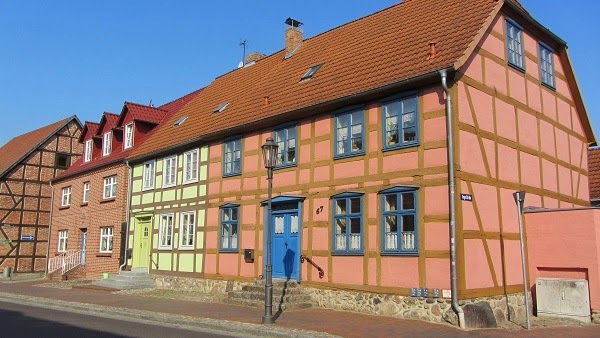 The houses in Röbel are wonderfully restored. 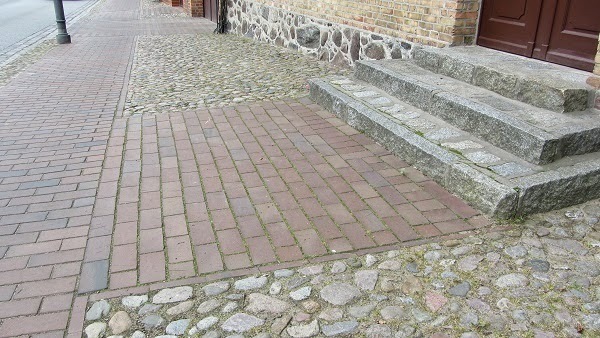 And the cobblestones! Check out this attention to detail. I'm the kind of person who dislikes clutter—I'd feel right at home in a sci-fi world with unblemished glowing white surfaces devoid of any decoration. 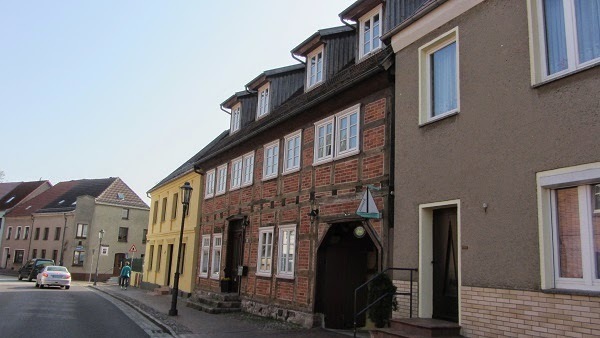 But I loved the buildings in Röbel. Every time I wandered past them, I felt the urge to scoop them up and take them home in my pocket! 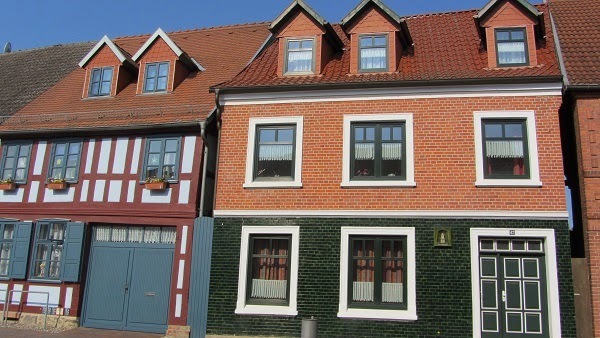 Think this house was built in 1261? 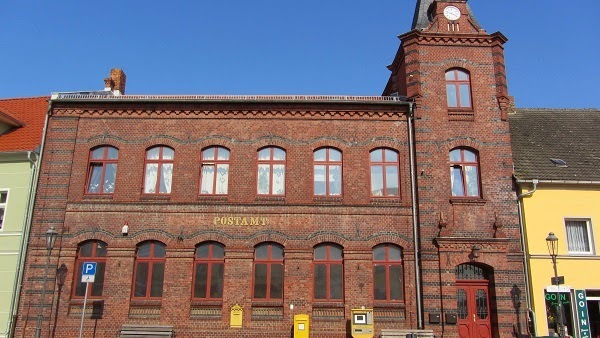 Can you tell how much I love red brick buildings? Just after Easter, my family and I went on vacation. I'll post more about the other locations later. 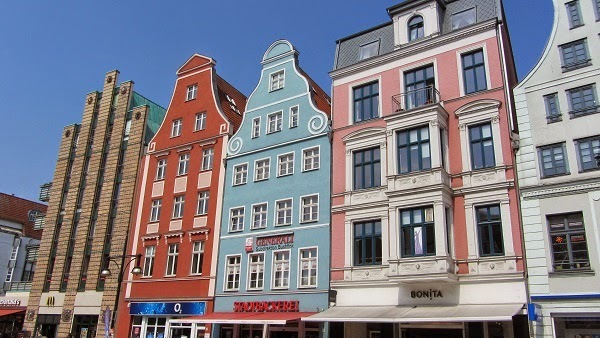 Today, I'll describe our day in Rostock and Warnemünde, on the Baltic Sea. 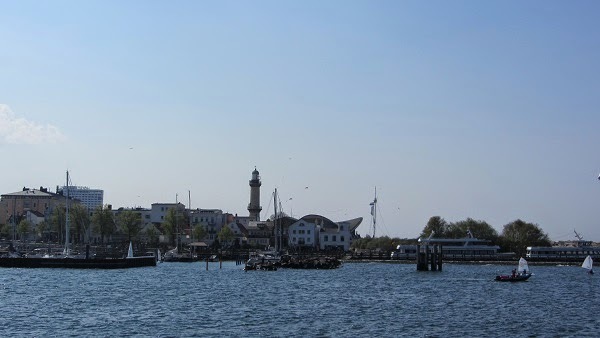 We drove to Warnemünde on the Baltic Sea and ran from the parking lot directly onto a boat for a harbour cruise to Rostock. 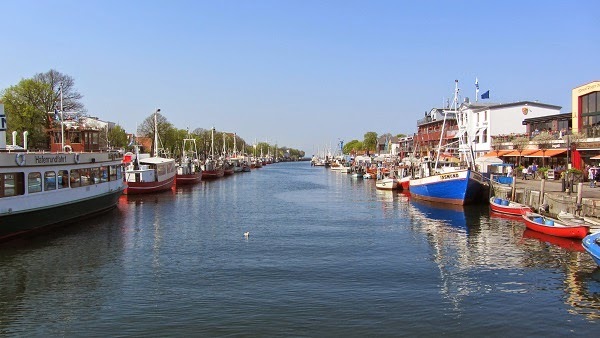 Rostock is on the Warnow river that leads to the Baltic Sea. Four minutes later, the boat headed up river. 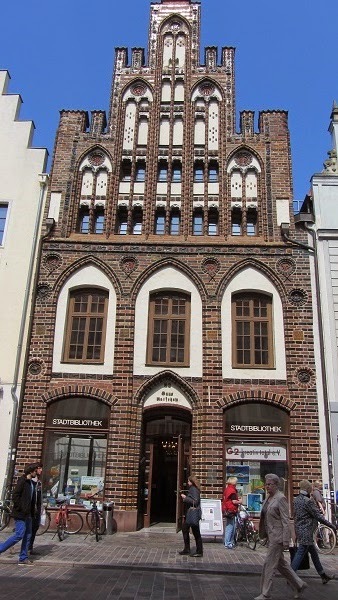 After about an hour's cruise, we wandered downtown Rostock. I have a thing for libraries. Check out this one. 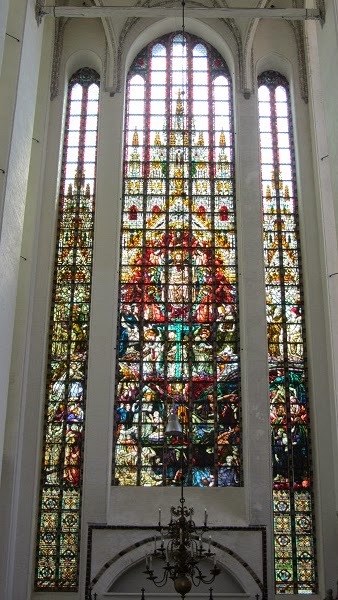 One of the churches, outside and in. 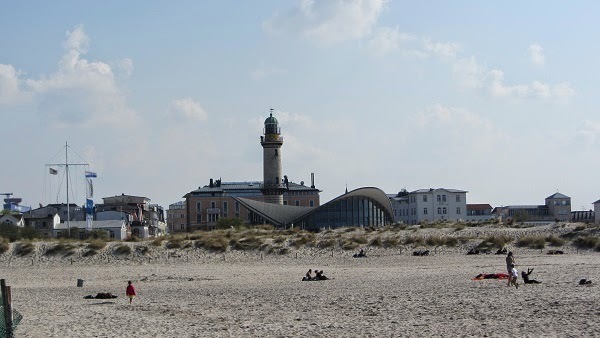 Two hours later, following lunch in a Chinese restaurant located in the dark basement of a building, the boat took us back toward the coast, to Warnemünde. We strolled along the promenade. Some stores are in buildings, some in boats. In one of the boats on the left, my son bought a tiny bottle of amber. But where I most wanted to go was to the water! So I prodded the kids along until we got to the beach. We removed our shoes and rolled up our pants. The water was ice cold. Standing in ankle-deep water for 30 seconds was enough to make even my knees. But the sun and wind and water were lovely. All pictures taken by me or my family. Thanks to Brenda Drake, Mónica Bustamante Wagner, Kimberly P. Chase, and Elizabeth Briggs for organizing The Writer's Voice! Here's my entry. Seth Halloway knows the religious books have it wrong. He and his team of Sifters live on Earth, marking morally corrupt humans for the Voidmaster. After their Earthly deaths, most souls move on to life in the haven. Sifter-marked souls end up in the void, waging a centuries-long war on the haven's automated defense system in an attempt to gain entrance. Seventeen-year-old Neve has been identified as the future destroyer of the Voidmaster's team of Sifters. So no task is more important to Seth than convincing her to join the Voidmaster's side. When every method of corruption his team devises falls short, he's forced to spend night after night with her, searching her dreams for her weaknesses, and it's not long before her wit and care breathe life into his long-believed dead spirit. Despite the fact that his continued dream visits put Neve's sanity at risk, Seth can't stop, even if he wanted to. Failure to condemn Neve would mean banishment to the eternal battleground for him and his loyal team. But to succeed, he'll have to break the girl he spends every night with...and his own heart. MARK OF THE SIFTER is a YA contemporary fantasy novel told from the points of view of both Neve and Seth. It features a multicultural cast and is complete at 82K words, stands alone and has the potential for a companion novel. Deep in my chest, I could feel it: the girl was asleep. The itch to jump into her dream almost overpowered me, but I lingered in the arched entrance hall of Rainthorpe Manor, the mansion we'd used as home base on Earth the last twenty years. A new recruit had died this morning, and Beatrice would bring her by any moment to meet me. Not even the peaceful glisten of snow through the leaded windows could curb my urge to depart, and I leaned around the corner to check the grandfather clock again. Beatrice and an older woman with brown, wind-toughened skin materialized in front of me. I nodded to both of them. "This is the Head Sifter, Seth," Bee said, gesturing in my direction. The new Sifter's eyes flicked to Bee and back to me. "Welcome." I didn't ask her name. The details of her former life had been included in her contract. Her voice wavered as she asked, "Are you the one shielding it?" I gave a short nod, and her hard face looked like it might crack. "Thank you. It was horrible." Bee caught my eye and raised a finger to show she understood my impatience. "I'll introduce you to your partner," she said, drawing the woman from the hall. "And we'll go over some of your duties." "Thank you!" the woman called over her shoulder, but I was already fading out, diving into the dream world of the destroyer. It was time to find the problem.